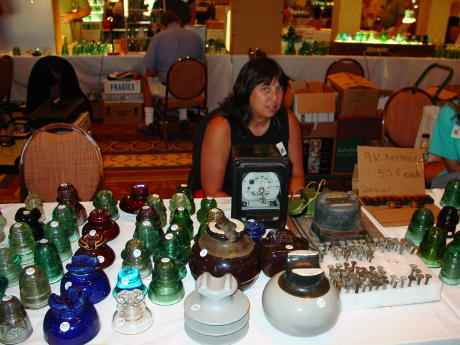 Insulator Shows (2003 Western Regional) > My Favorite Insulator Dealer! My wife Deborah Scott. She sat at the sales table while I made countless trips around the sales tables trying to spend our last dollar! Don't know how she puts up with me! She also sold more than I did!